When I see a foodstuff I love offered as a gluten-free option, I tend to shy away from tasting it. There tends to be a grittiness in these sorts of baked goods that can completely alter the experience. Instead of chewy, moist, and soft cookies, the texture is akin to wet sand formed into a patty. Instead of a crisp, airy cookie, a gluten-free version sometimes tastes like brittle chalk. But old-fashioned ice cream is gluten-free naturally, so venturing into GF category there didn't make me nervous. How bad could it really be if the cookie was garbage? At least there is a big disc of homemade ice cream in the middle. 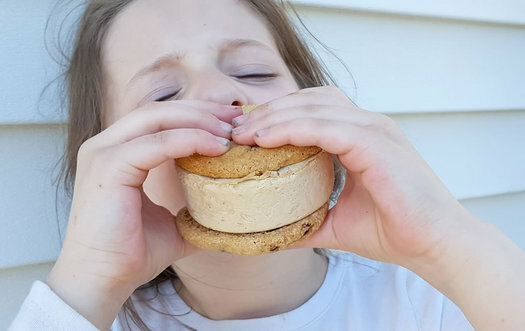 All worries were assuaged with one bite of the ice cream sandwich from Different Blend. The cookie -- chocolate chip in one instance, snickerdoodle in another -- was indistinguishable from its gluten-heavy sibling. The chocolate chip cookie was paired with cocoa-infused chocolate ice cream, while snickerdoodle, rich with tastes of cinnamon and a sugary sprinkle pre-baking, sandwiched custardy vanilla ice cream. At $3.75 per sandwich for a from-scratch, housemade product for special diets, it's hard to find a better taste of summer. Different Blend Bakery plays with new flavors, too, like the vanilla caramel sandwich, peanut butter s'mores ice cream sandwich (made with homemade GF graham crackers), and chocolate chip cookie dough version. So what if it's gluten-free? It's wholly delicious. 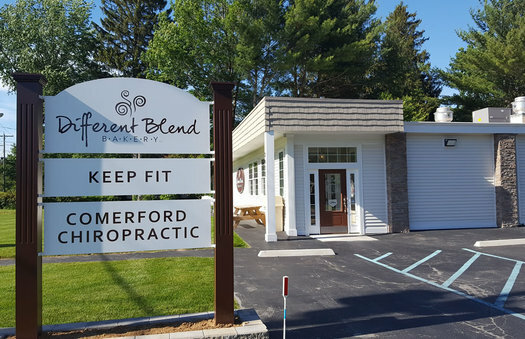 The postal address is Schenectady, but the bakery is in the town of Guilderland. I haven't tried the ice cream sandwiches yet but Different Blend is very good, even compared to some regular baked goods. I am gluten free (celiac) and I LOVE this place. The cream puffs are heavenly, the ice cream sandwiches are definitely the best GF ones I have ever had, and I agree the prices are tremendously fair. I got a package of frozen pastry puff shells that my guests said were absolutely indistinguishable from glutenous ones. Now that is impressive!